3 Bedroom Upper Floor Flat For Sale in Nottingham for Offers Over £900,000. 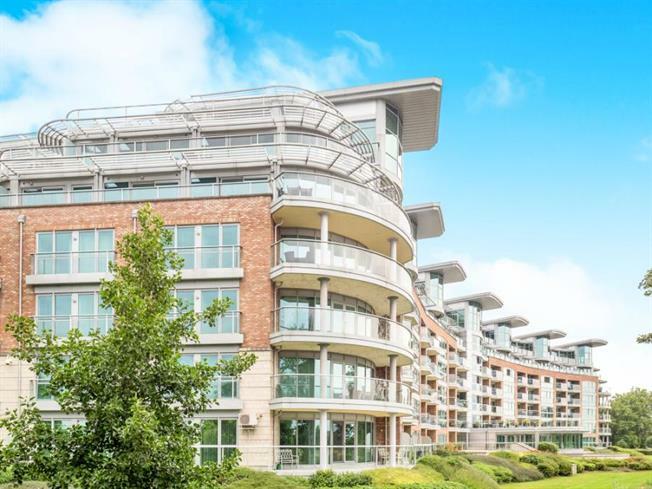 A luxurious three-bedroom penthouse apartment located on the top floor of this multi award winning development with breath-taking views of the River Trent taking in the renowned Trent Bridge Cricket Ground, City Ground and Meadow Lane stadiums. River Crescent has received the accolade for having numerous awards for its design intelligence over recent years offering a peaceful way of life for residents. Apartment 761 is tastefully presented in superb order throughout and has been designed and constructed with the latest innovative technology resulting in a truly modern and energy efficient City home. There is a `wrap around` balcony which offers stunning views. In brief, the accommodation provides a reception hall, fabulous large open plan reception area with well-defined sitting and dining areas, fully equipped high quality kitchen with integrated appliances. There is a luxurious master bedroom suite with a dressing room and luxury en-suite bathroom with shower. There are two further bedrooms, an en-suite and a utility. This apartment has the benefit of two allocated parking spaces which are gated and underground. River Crescent is located on the banks of the River Trent adjacent to Colwick Country Park and Nottingham Race Course. The apartment offers a peaceful waterside location with nearby country walks as well as easy access to Nottingham city centre. The apartment is well placed for the commercial and retail centres as well as Nottingham train station. From Nottingham city centre proceed out on the Colwick Loop Road (A612) as you approach Nottingham Race Course go right at the roundabout onto Racecourse Road and continue for approximately 200 yards before turning right again onto Waterside Way where you will see the entrance to River Crescent.